Rediff.com » Business » Bullet train between Delhi and Chennai soon? Bullet train between Delhi and Chennai soon? 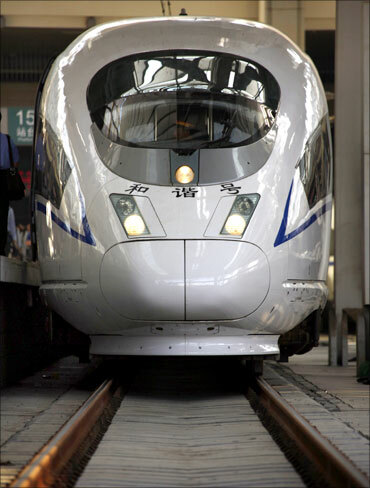 The railways ministry is considering implementing a high-speed bullet train service between Delhi-Chennai. Union Railways Minister Suresh Prabhu told Bloomberg TV the ministry was mulling operating a second bullet train project between Delhi and Chennai, and the Chinese had evinced interest in implementing it. The Centre last year had announced operating a bullet train service between Ahmedabad and Mumbai. 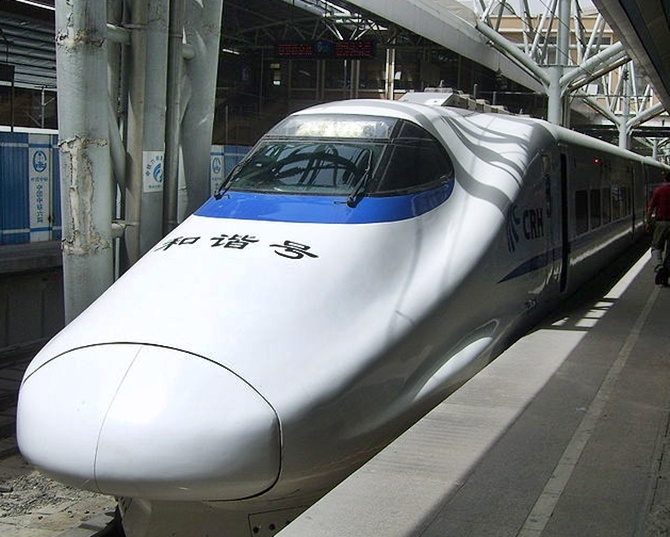 A high-level team from the Railways had earlier visited Beijing to discuss the possibility of Chinese engagement in conducting a feasibility study for the New Delhi-Chennai 300 kmph train service. 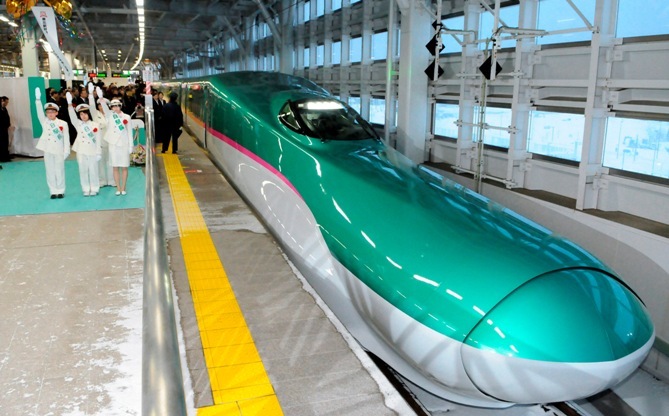 The proposed Mumbai-Ahmedabad bullet train project will function on Japanese technology. According to media reports, the $32.6 billion estimated New Delhi-Chennai high-speed rail project covering a distance of 1,754 km would become the world’s second largest project, next to the 2,298-km high speed track between Beijing and Guangzhou, which was launched last year.